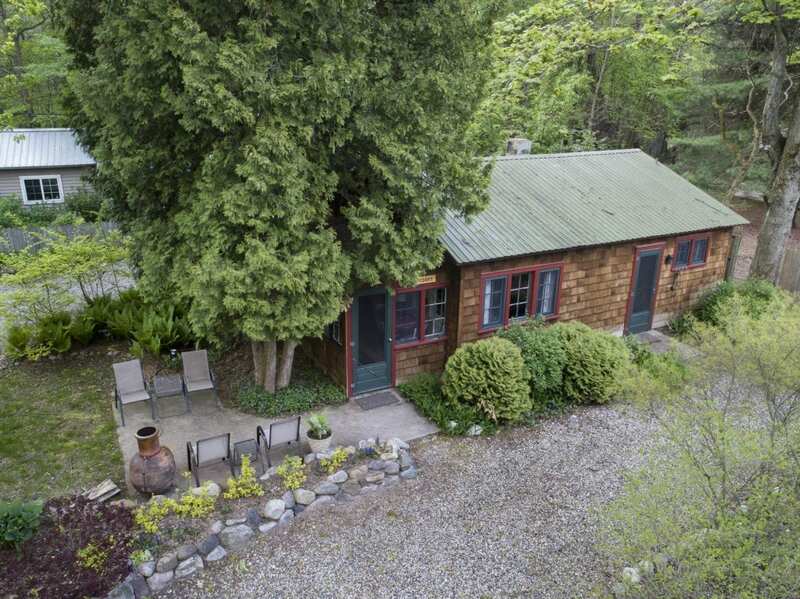 Cedars Cottage is the smallest cottage at Timber Bluff, yet a new favorite! 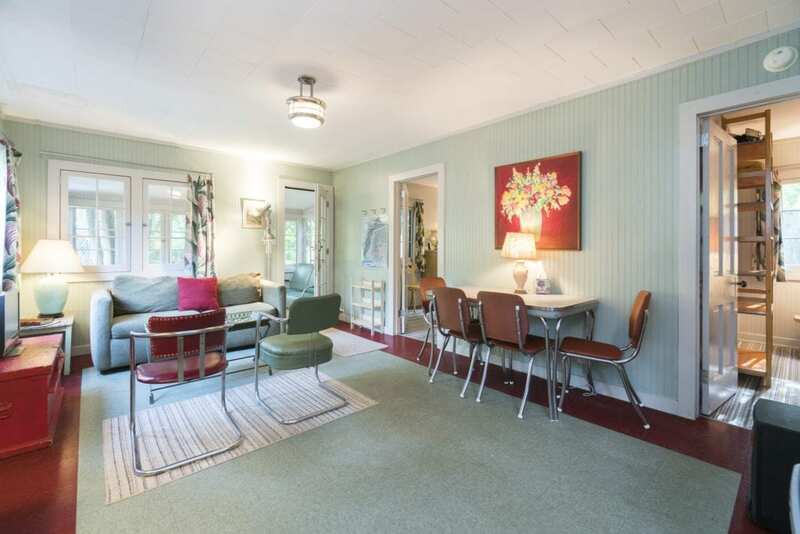 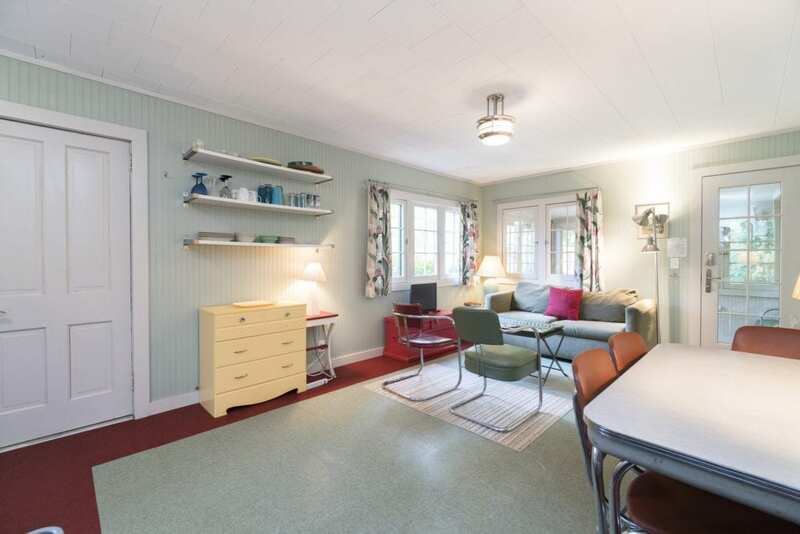 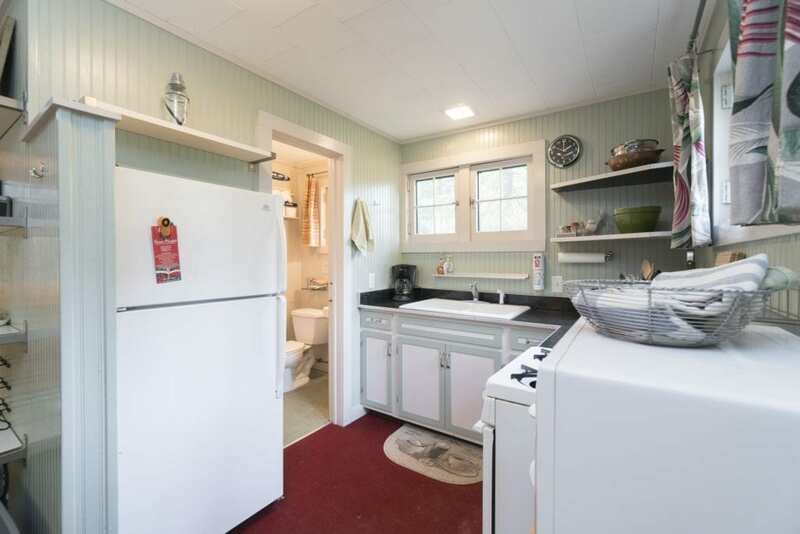 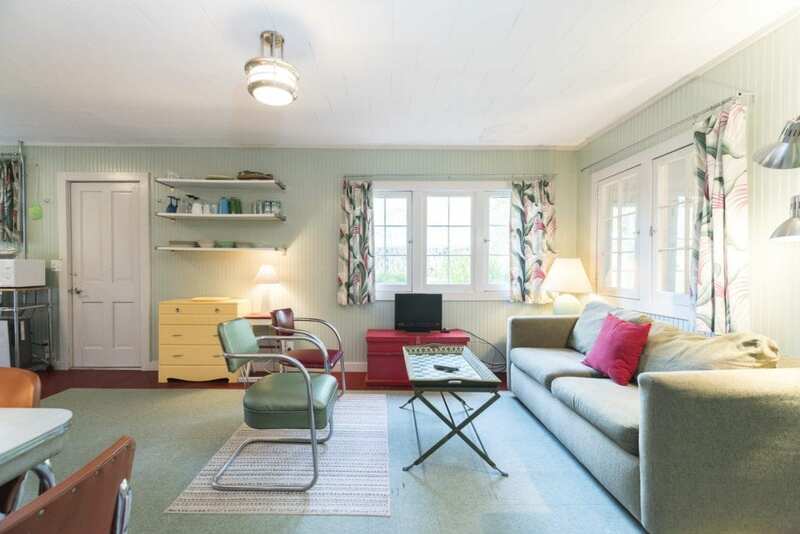 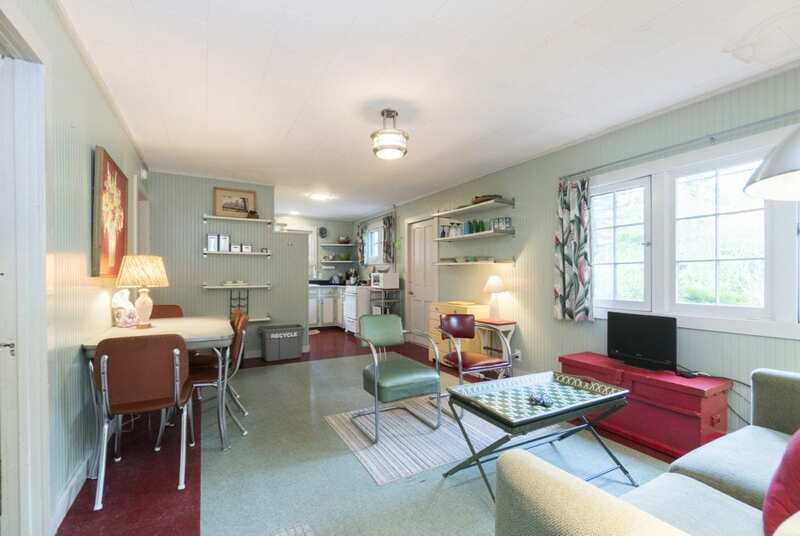 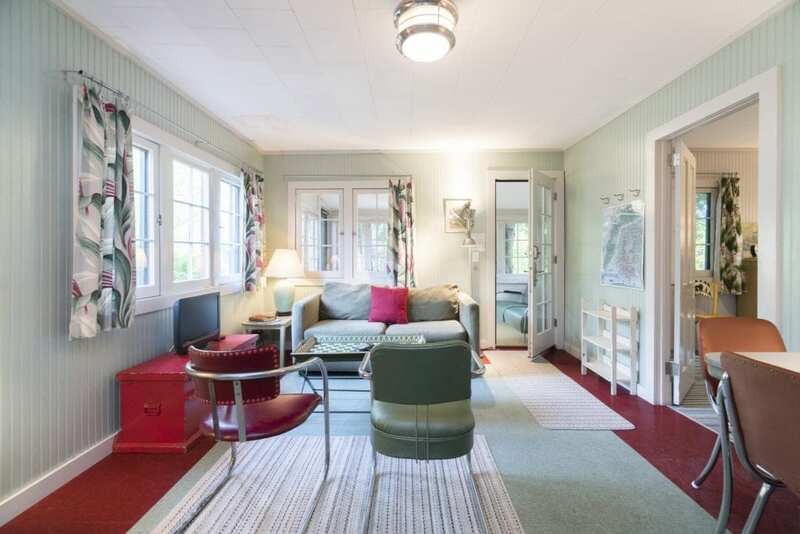 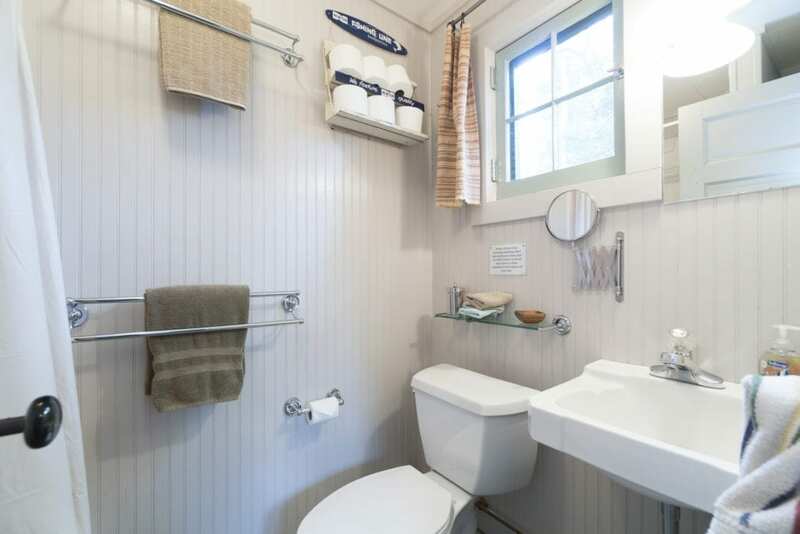 This cottage was completely remodeled in 2004. 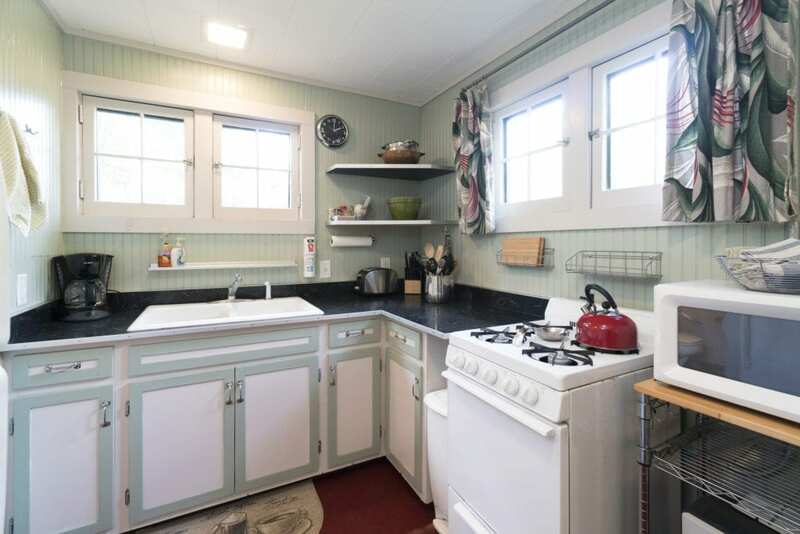 It has an efficient kitchen that opens into the dining area and living room. 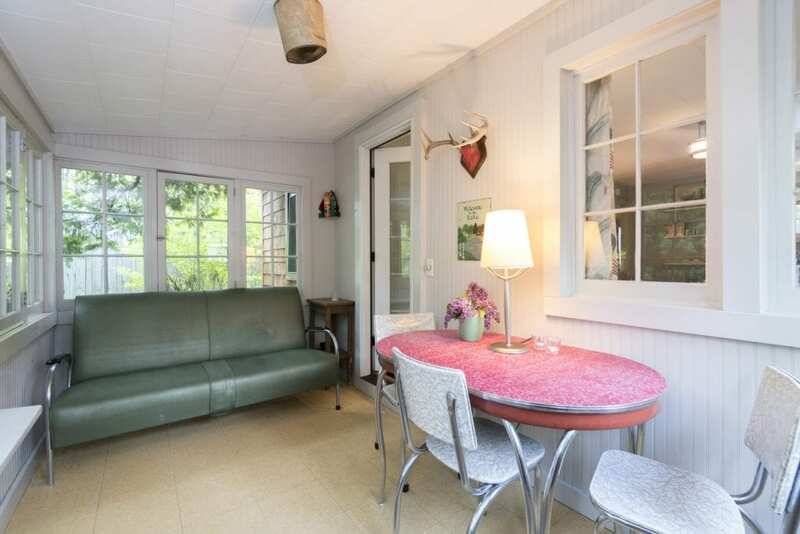 A small screened porch off of the living room is a great spot for reading a good book, or just relaxing and enjoying the natural beauty at Timber Bluff. 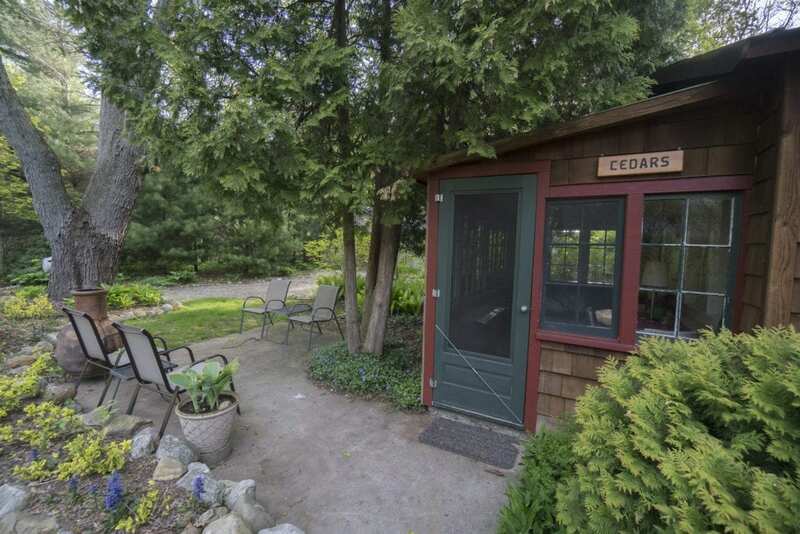 Cedars is nestled into the back portion of Timber Bluff, and offers a great view of the gardens, and Lake Michigan beyond. 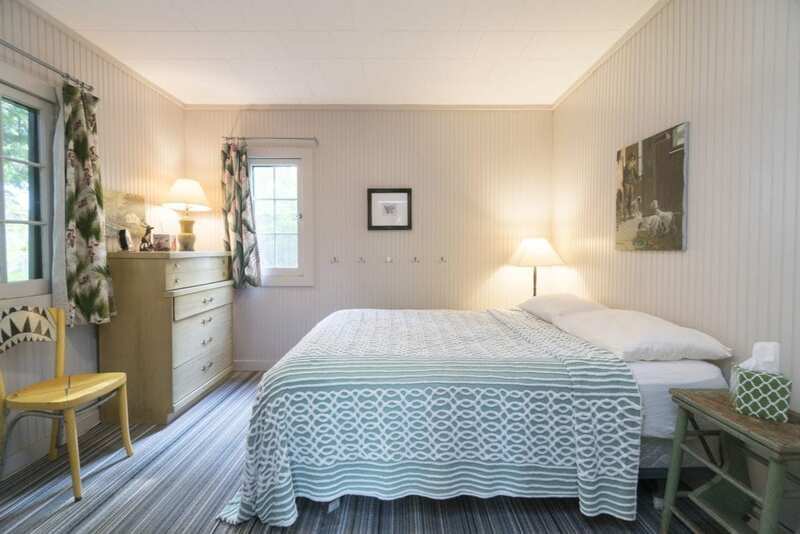 There are two bedrooms, each with a double bed. 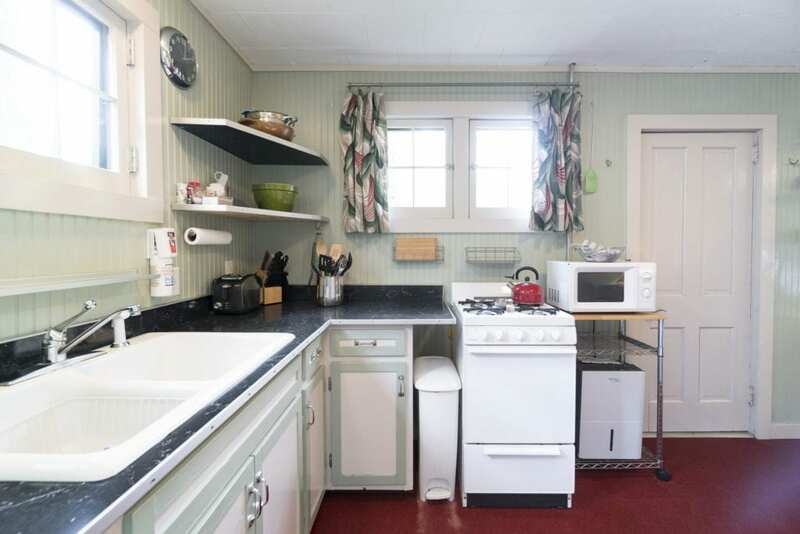 Cedars is a seasonal cottage, as there is no central heating unit. 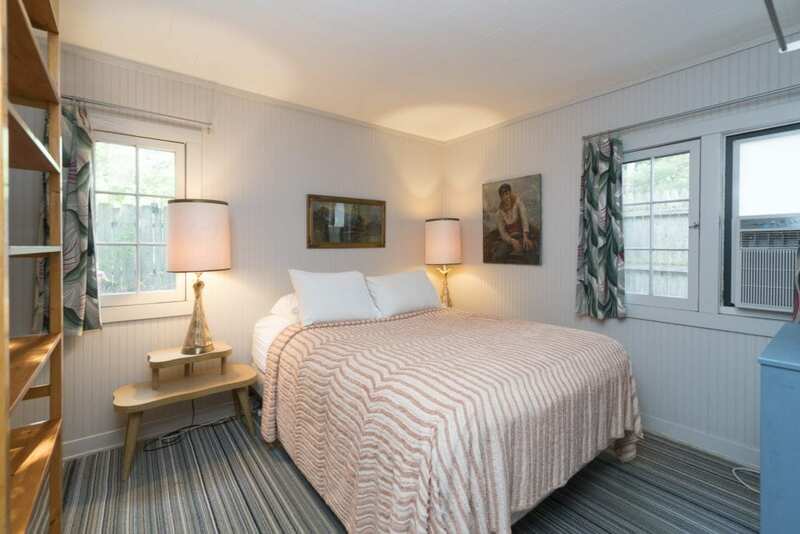 There are, however, efficient space heaters available to take the chill out of the evening air in late spring or early fall months. 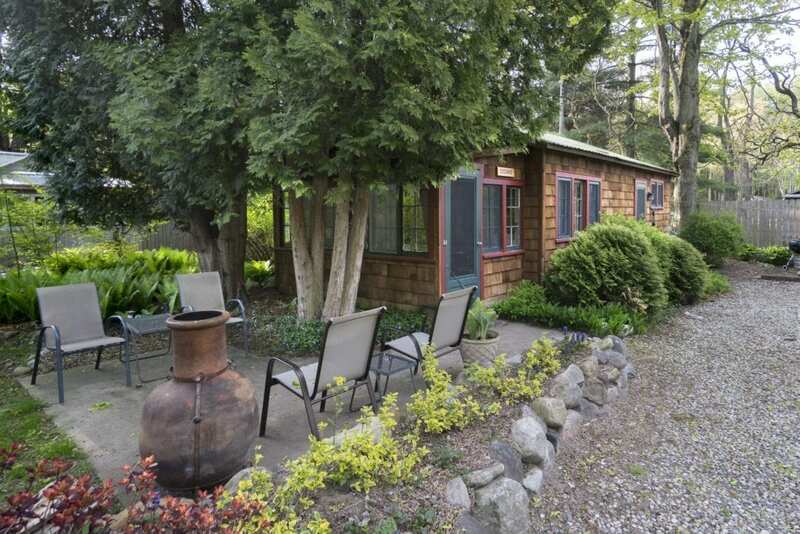 Cedars sleeps four people comfortably, but there have been families with up to six people who have nestled into this cozy cottage.